WHERE YOU WILL FIND US. 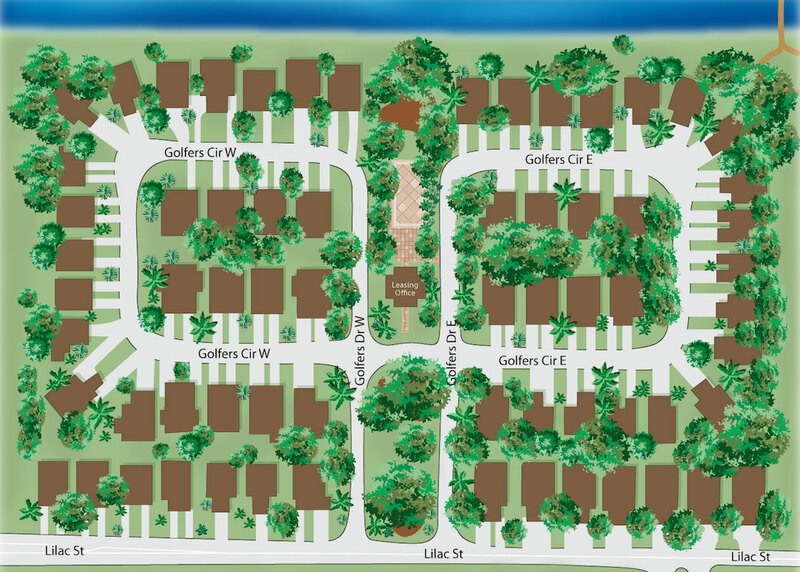 Lilac Village is centrally located in Palm Beach Gardens, just off Military Trail, south of PGA Blvd on Lilac Street. Palm Beach Gardens is a unqiue place to live, learn, work and play. Lilac Village is near numerous attractions that draw many to Palm Beach Gardens each year including the Honda Classic, Gardens Mall, Legacy Place, Midtown, and Palm Beach College. World class heathcare is just around the corner with proximaity to hospitals such as Jupiter Medical Center and Palm Beach Gardens Medical Center. The area's top employment centers are just minutes away. Enjoying the Florida lifestyle is easy at Lilac Village with beach and blue waters of the Atlantic Ocean just minutes away. From Interstate 95 exit PGA Blvd west, turn south on Military Trail, east on Lilac Street, and Left on Golfers Drive. Managed by FLF Management © Lilac Village LLC. All rights reserved.